Thomas Manning writes for Democracy Chronicles from New York City and is a key part of our increasing coverage of democracy news compiled from across the planet. Checkout the rest of our international team of authors as well. Together, they help cover free and fair elections on every continent with a focus on election reform in the United States. There are many who support the argument that if more convicts get their voting rights and are encouraged to participate in democracy, they would be less likely to commit crimes again. At a time when many politicians use the term limits issue as a talking point, politicians in Brookhaven County have passed a resolution that would add more years onto their terms of service, not less. Pakistan’s upper and lower houses of parliament have passed a historic bill giving the long suffering tribal areas equal rights and ending a destructive legacy left over from the era of British colonial rule. If the Supreme Court rules that this round of Ohio redistricting is unconstitutional, it should remain consistent and rule in favor for Republican voters in Illinois and Maryland. Only a solution that works for both parties is likely to stick. The extent of the influence upon the election has yet to be fully uncovered but it is widely believed that the Russians tried to influence both the Trump and Clinton campaigns. The Russians are accused of spreading disinformation via social media. Government officials in Taiwan have overhauled the country’s referendum process making it simpler for people to put forth initiatives when trying to make changes to the country’s laws. How will the new system work? It is essential for the United States to test out new technology for elections as older voter machines have proven to be vulnerable to outside tampering and are becoming increasingly obsolete. 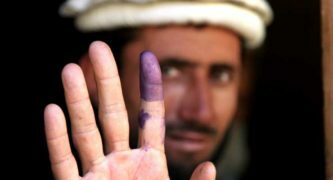 Officials in Afghanistan have set a preliminary date for much anticipated parliamentary and local elections after numerous delays. The date of voting is now set for October 20, 2018 and could be a big step forward. A recent study revealed that more than 64 percent of citizens of the least developed countries around the world now have access to the internet and or a mobile device. The results have been transformative. Should America Make Changes to Model Swiss Democracy? The Swiss model is highly regarded as one of the best models of democracy in the Western world. It is a highly unusual system where citizens themselves go to the polls and directly vote on referendums.